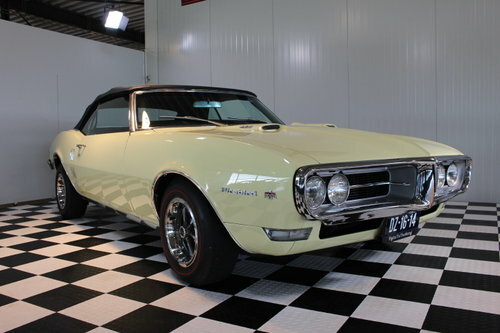 REAL DEAL all Matching number VERY RARE 1968 Pontiac Firebird 400cui V8 Convertible, completely top show restored and with matching numbers drivetrain and PHS docs in absolute as new condition. The car has all the correct body Vin's Very rare and highly collectible / wanted. 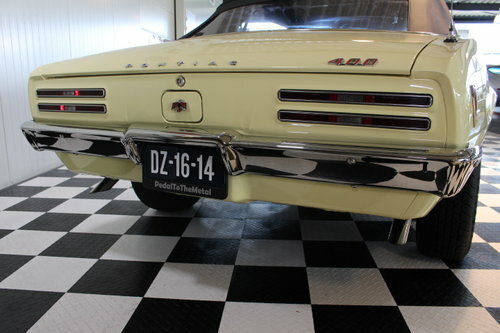 Everything on this car is factory correct and original, a rare collector car. 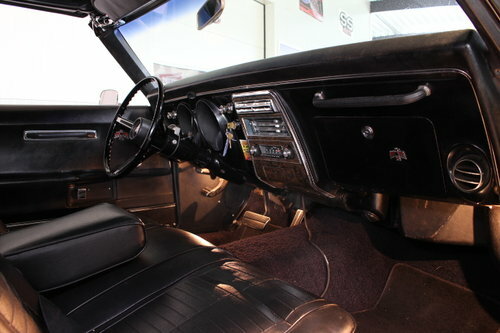 It's completely restored, highly detailed and very clean. Its loaded with many special and rare options and special 400cui features. Everything on the car is factory original, from the correct rally wheels to the rare nosecone with hideaway headlights. The body, floors and chassis are all restored ( Body off) and it's laser-straight. The chrome and all glass is original as well. It looks stunning in its factory correct paint color with black interior and black top. 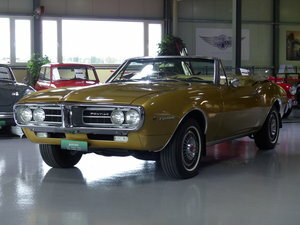 This car draws a crowd everywhere you go !, how often do you see and meet a true matching 68' Firebird convertible !. 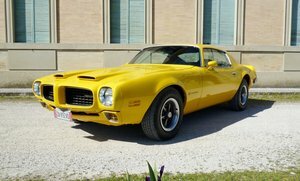 Camaros YES, but firebirds are much rarer indeed. More than 75000,- was spend in the restoration alone. A beautiful color combination, you need to see this color live !, The body is laser straight and the paint is absolutely top quality with a deep shine. 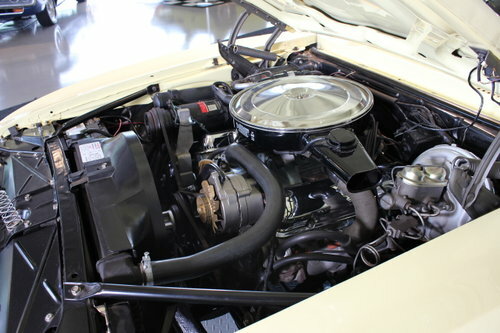 The underside of the car is ultra clean as well and every detail is new, restored or rebuild there as well including the engine and transmission. This car is show award-winning quality, The overall quality is great! NO rust whatsoever and drives and handles fantastic. What more can you want ! ?..., its a great investment for your money and pleasure !. 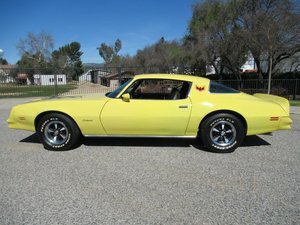 You cant restore one for less, let alone find a great and real classic muscle car. 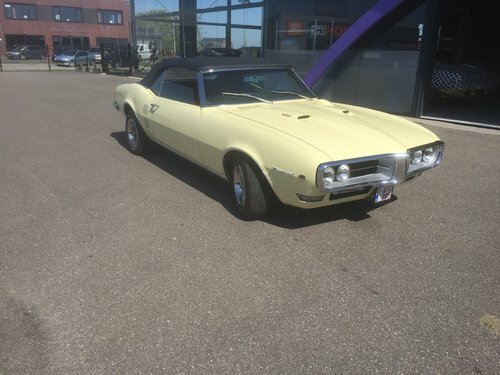 According to the Hagerty us car sale price list, this car is worth around 85-105000,- and our asking price is WELL below that. So for this money, you won't find a better one !, or a better investment! Car is in our showroom and comes with DUTCH papers and import taxes are all paid !. Its fully serviced and inspected and ready to enjoy! NOW FOR SALE FOR A SPECIAL "PTTM SUMMER DEAL WEEKS" PRICE !.. ITS A REAL STEAL FOR THIS MONEY ! FOR MORE INFORMATION, VIDEOS AND PICTURES !! or anything else about this or our other cars please visit our website !. 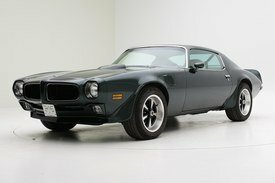 PTTM is a high-quality Musclecar speed shop with always around 40+_high quality Musclecars & projects for sale. 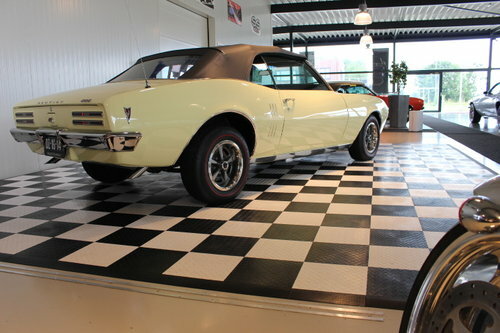 We are all-round and have restored & built many award-winning cars.We have our own engine and transmission build department and body and paint shop, as well as a large parts store. Wir only a 1,5 hour drive away from the Hook of Holland Ferry!